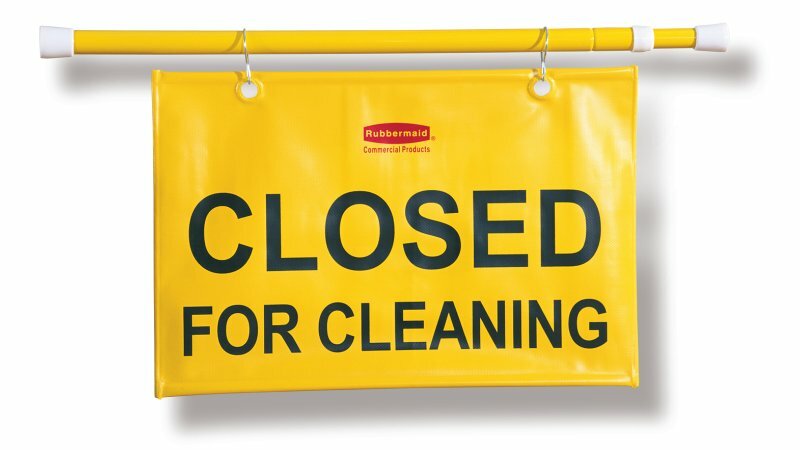 The Rubbermaid Commercial "Closed For Cleaning" Hanging Sign utilizes and extendable pole to block doorways and entrances up to 50" wide. Twisting action secures pole in doorways to prohibit entry. Soft, pliable sign rolls around pole for easy storage. ANSI/OSHA-compliant color.